It changes shape a bit as time goes on. That makes me think it is something very light (cotton candy, fiberglass insulation) or it is an accumulation of something, akin to blue ice on an airliner. Bonus: what is the approximate size of this object? I saw that too, during replays of the launch. Soon after SECO there was gas venting from that spot, and later I saw this...uh, feature. 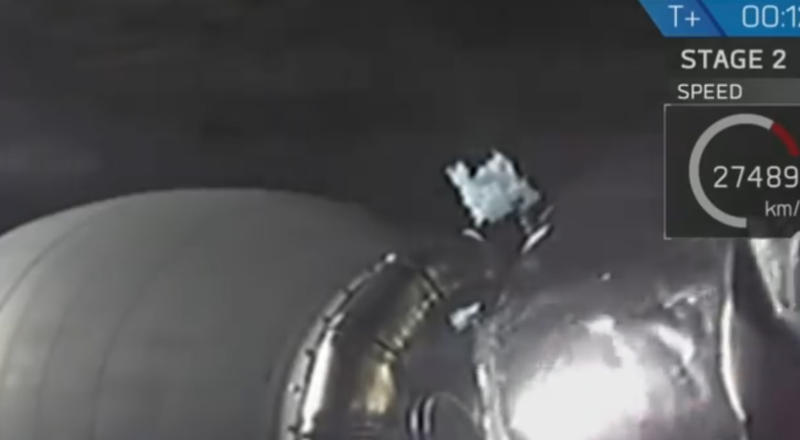 I'd be willing to bet they were venting oxygen, and the expansion into a vacuum (that begins in the feed pipe to that vent) cooled it enough for some of it to condense as a solid. The color is right: solid oxygen is a pale blue. And the fluffiness is what you get condensing something under those conditions, kind of like a hoarfrost. It is insulation that covers some of the engine, like Mylar. Mostly to control the temperature. 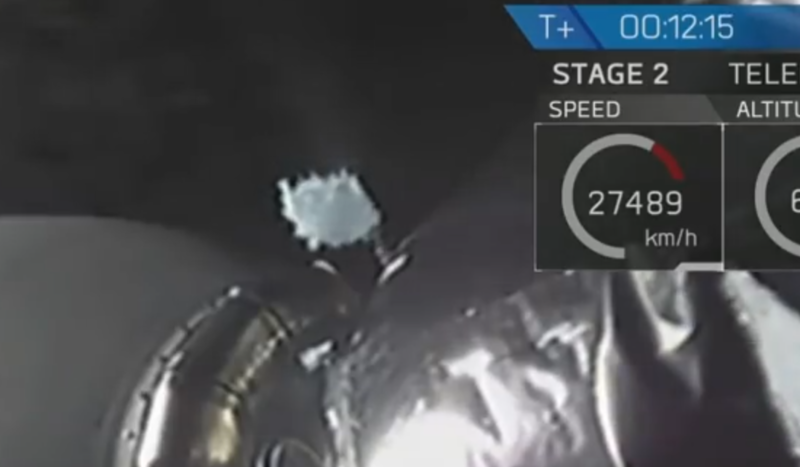 They had early issues on restarts of the upper stage engine where the cold froze the lines or valves. Not the answer you're looking for? Browse other questions tagged spacex falcon-9 identify-this-object or ask your own question.